Erik was born on May 15th 1979, in Leiden, Holland. His father taught him the rules of chess when he was six years old. He joined the chessclub 'Op Eigen Wieken' in Leiden shortly afterwards. Erik achieved the title of International Master (IM) at the age of 16 and he became International Grandmaster (IGM) just three years later. The Dutch Chess Federation awarded him the Membership of Honour for his part in the two victories of the Netherlands in the European Team Championship (in 2001 and 2005). Erik's greatest achievement was shared first place in the Dutch Championship in 2001. 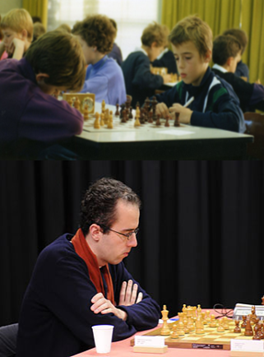 Erik has taken part in the Chess Olympiad in 1998, 2002, 2004 and 2006.